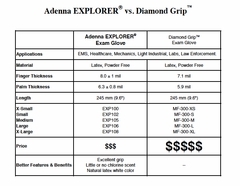 Quick Overview: Explorer is an 10 mil thick, 9½ inch long, powder free latex exam glove designed to provide extra protection and stronger resistance to wear and tear on the job. The glove fingers are almost double in thickness when compared to regular exam gloves. 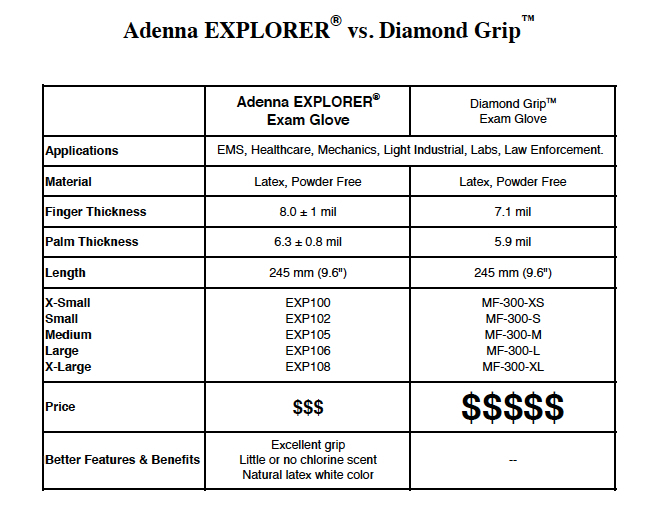 The Explorer glove has little or no chlorine scent, appears in white natural latex color and provides an excellent grip as a result of our advanced single chlorinated process. 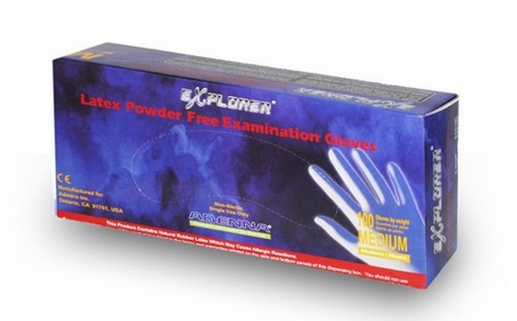 10 mil finger thickness provides extra protection and stronger resistance to wear and tear. Textured surface provides superior grip in both wet and dry applications. Smooth interior finish for easy donning. A lowest allowable protein claim of ≤ 50 µg/dm2 minimizes potential rubber latex allergies.